Golf doesn’t have to be expensive. I know Christmas has just passed, you haven’t been paid in what feels like 15 months and your dry January efforts lasted just five days, but you can still get out on the course. Don’t let the cold weather or depleting bank account hold you back anymore, because it pays to be brave, especially with Your Golf Travel. 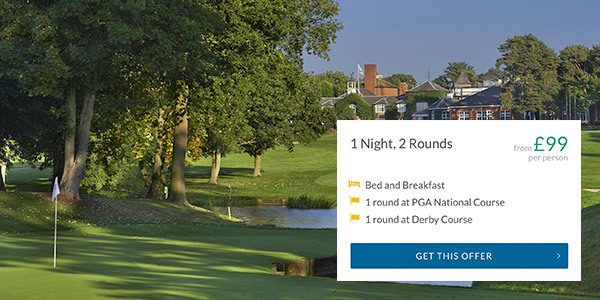 Let’s get this out the way early; the below deal for The Belfry doesn’t include a round at the famed Brabazon Course. To play the course which hosted four Ryder Cups between 1985 and 2002, your budget will have to stretch to around £135, which is still very cheap. 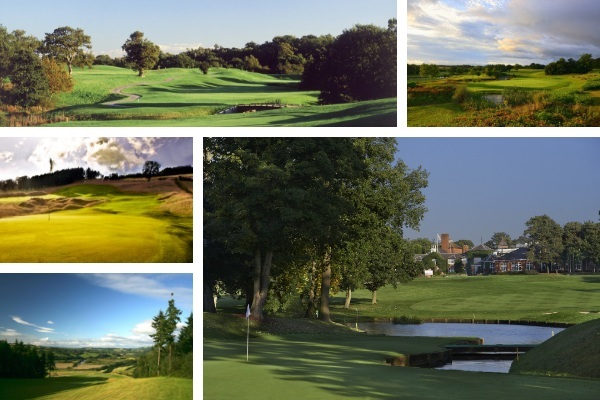 However, as you might know, The Belfry offers so much more than The Brabazon; both The Derby and PGA National courses are extremely enjoyable to play, regardless of ability. Then you have the plush, grand hotel which provides leisure, business and dining facilities which are among the best in the UK. To summarise, heading to The Belfry for under £100, is an absolute steal. Get involved. Despite varying in style, the two courses at The Vale Resort are both in the upper echelon of Wales’ golf venues; the Wales National Course is an immense layout while the Lake Course will test your mettle around an abundance of water. 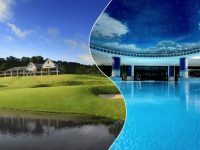 Based in South Wales, this resort doesn’t just appeal to the avid golfers, as the four star hotel is equipped with luxurious guest rooms, great practice facilities and also Wales’ largest spa! If you want to experience the best South Wales has to offer, all for under £100, make sure you head to The Vale Resort. 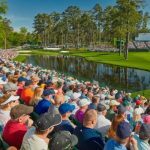 With our Chief Holiday Officer as the associated pro at Close House, it’s not just the Lee Westwood appeal which makes this such an exciting golf venue. Set in the North East, this venue has undergone huge developments over the last decade and in 2017, hosted the British Masters. 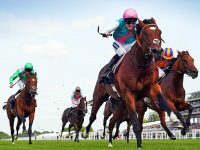 Its Colt Course leads the charge, boasting a unique design influenced by Westwood and many, but the accompanying Filly Course has been known to be equally as challenging. 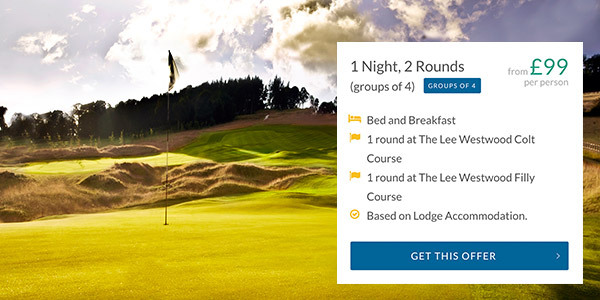 For just £99 you can experience both courses as well as brilliant accommodation at an established European Tour venue – what are you waiting for? 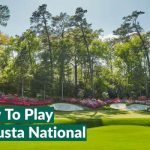 East Sussex National has hosted various European Tour events and welcomed some of the world’s best players to its grounds, all the while being immensely popular to even golfers new to the game. Also, anyone heading to the revered resort will no doubt be keen to head into Brighton, which is just a short drive away and home to one of England’s most exciting coastlines. 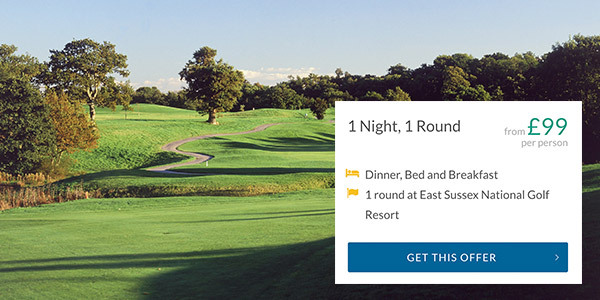 The beauty in the below deal is the choice of playing either the East of the West course; many will choose East due to its experience with the pros, but if you’re looking for a more secluded round, the West is just as impressive. 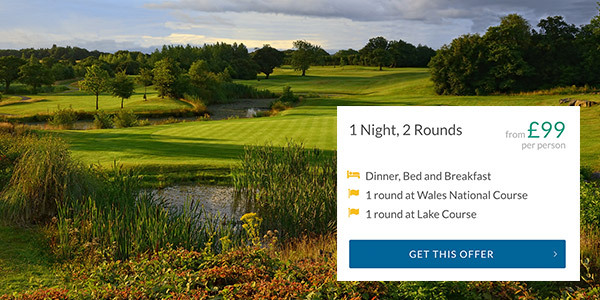 Much like our Belfry offer, you can’t experience the full Ryder Cup offering at Celtic Manor for under £100, but the next best thing is available for just £82. 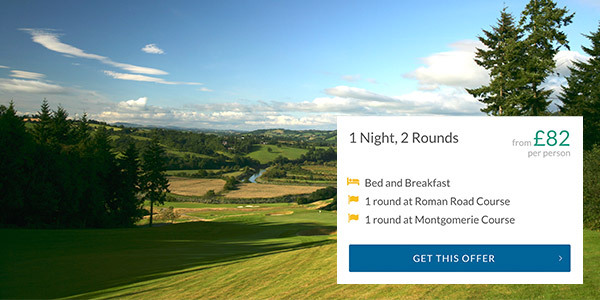 The great thing about Celtic Manor is its variety; from Colin Montgomerie’s aptly named track to the traditional layout of the Roman Road course, golfers don’t need to play the TwentyTen course for a great golf break. 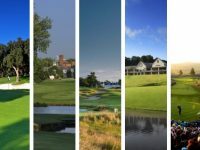 Add to this the incredible resort facilities which were developed for the Ryder Cup, there is really no surprise that Celtic Manor is one of the UK’s most popular golf break venues. Feel like broadening your budget? 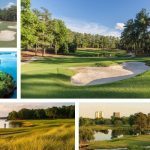 Take a look at this video of YGT Rory and UK Sales Specialist Tommy talk through the best UK golf breaks for less than £150!